I just found out today about this living room show with Marie/Lepanto tomorrow night, and I mention it here because it probably has had zero promotion. Whereas I like the idea of these traveling troubadours doing living room shows across the country (I think Eric Bachmann might have one coming up?) they’re not booked through a promoter or a club so it’s hard to find out about them. 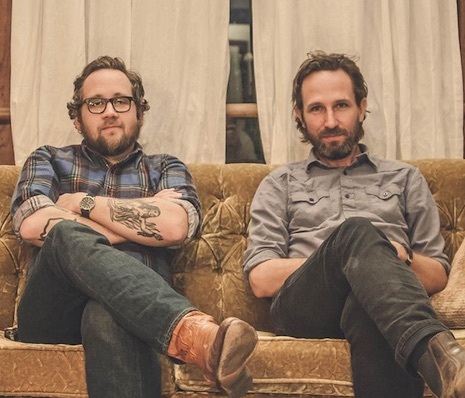 I’d hate for this duo — Will Johnson (of Centro-Matic fame) and Justin Peter Kinkel-Schuster — to play to an empty room, so here’s the link to the show info. I have no idea who’s hosting, but it’s probably someone cool. It’s gonna be tough sledding because it’s already is a pretty crowded weekend for shows. I mentioned the Maha Festival yesterday, I feel I should mention Lincoln Calling 2018 today. The 15th annual concert series is slated for Sept. 17-22, and this year is being presented by Allo and Evol Empire Creative. Last year it was a Hear Nebraska joint, but that org has stepped away. The big question: Who is booking the festival this year? Last year’s stellar line-up was the result of hard work from Sam Parker, who as reported last week, don’t live here no more. Anyway, the initial LC line-up will be announced April 16, with a second line-up announcement July 16. Tonight at Reverb Lounge The Show Is the Rainbow headlines. Cult Play and John Friedel open. $8, 9 p.m.